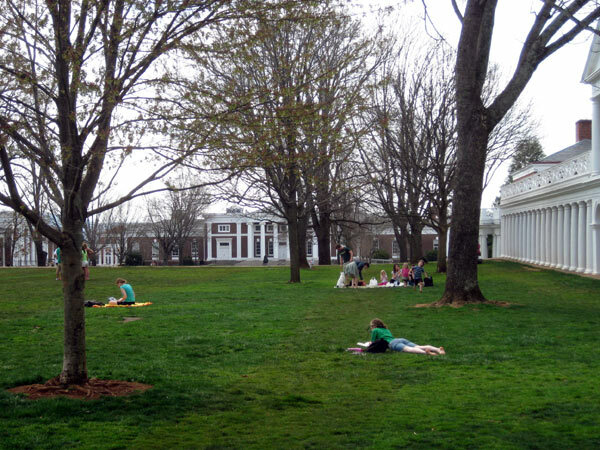 Opened in 1825 and still the historic and ceremonial core of the University of Virginia, the Academical Village represents Thomas Jefferson’s vision of a holistic learning environment carried beyond the classroom. 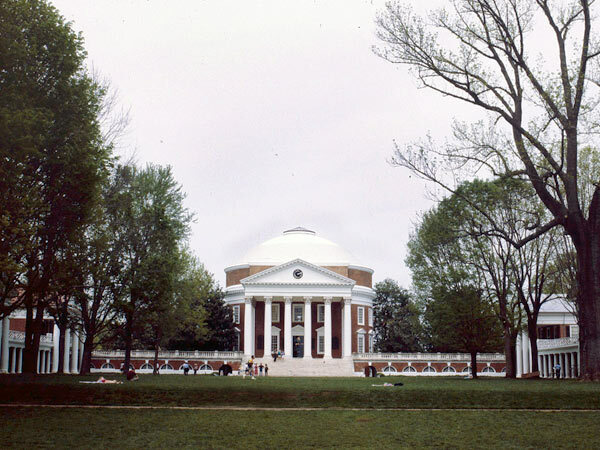 Jefferson was influenced by Palladio and Greco-Roman architecture and consulted with architects William Thornton and Benjamin Latrobe on the design. 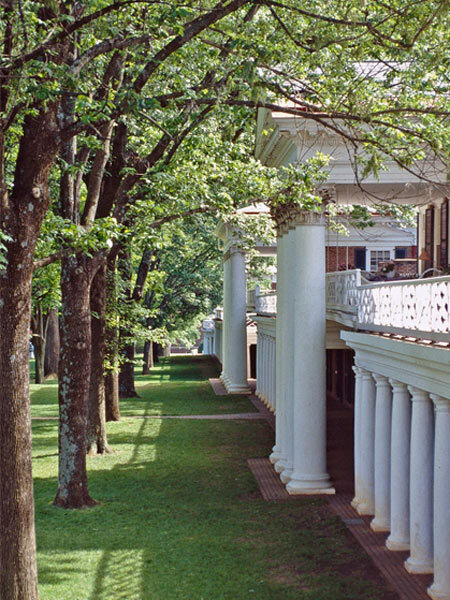 His plan consists of a 200-foot-wide, open lawn set into three tiers and lined with deciduous trees, with rows of interconnected buildings enclosing the long east and west sides and the Rotunda anchoring the northern edge. 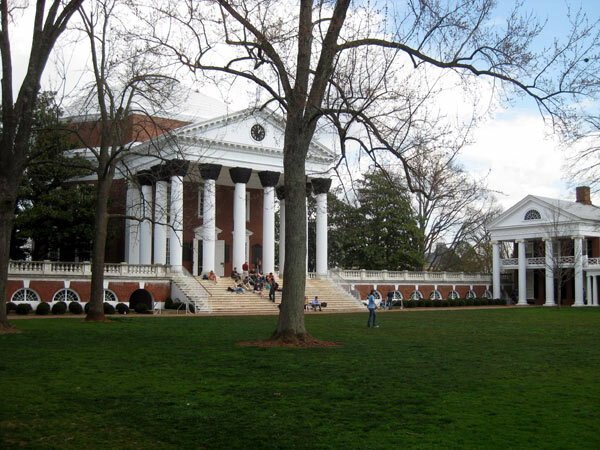 Jefferson’s Rotunda was inspired by the Pantheon in Rome and served as the school’s library. 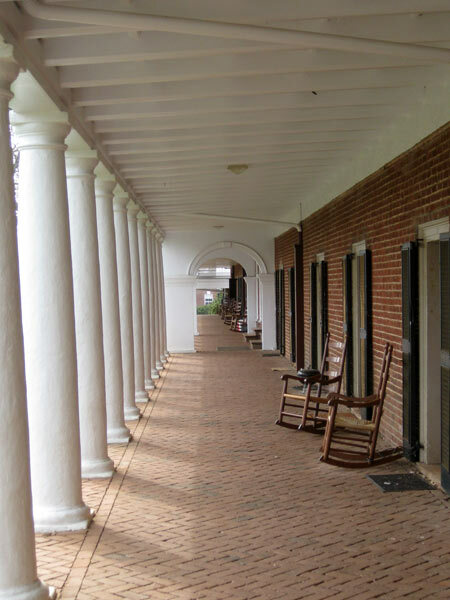 The long buildings facing the lawn are single-story student rooms fronted by covered brick sidewalks and separated by ten two-story Pavilion buildings. 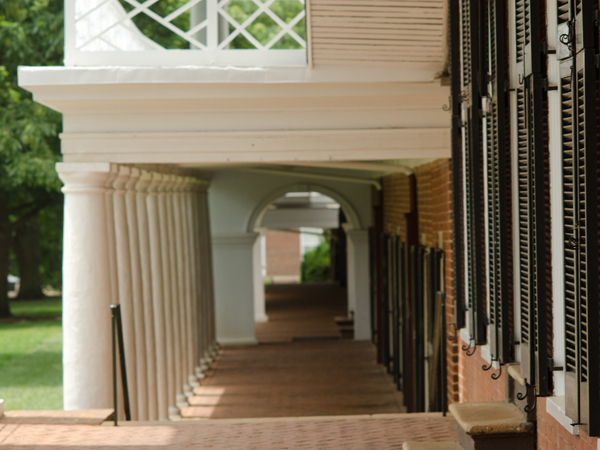 These faculty houses - five on each side - served as architectural examples, each with a unique classical façade. 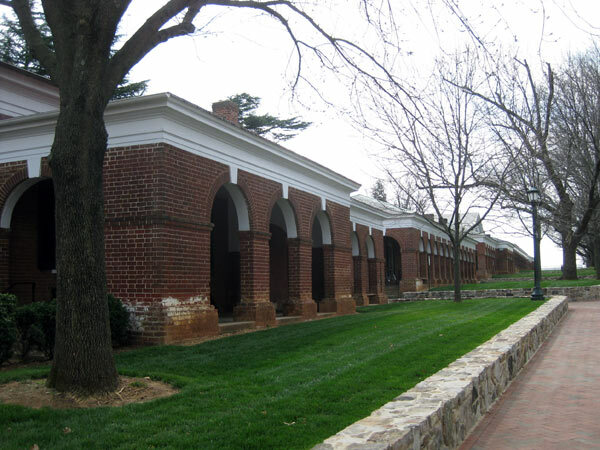 Behind each Pavilion are individual gardens enclosed by brick walls, which extend to additional rows of one-room dwellings known as the East and West Ranges. In 1895, the Rotunda burned down and was rebuilt with plans by McKim Mead and White. This work led to three new academic buildings, also designed by Stanford White, and the subsequent enclosure of the Lawn’s south end. 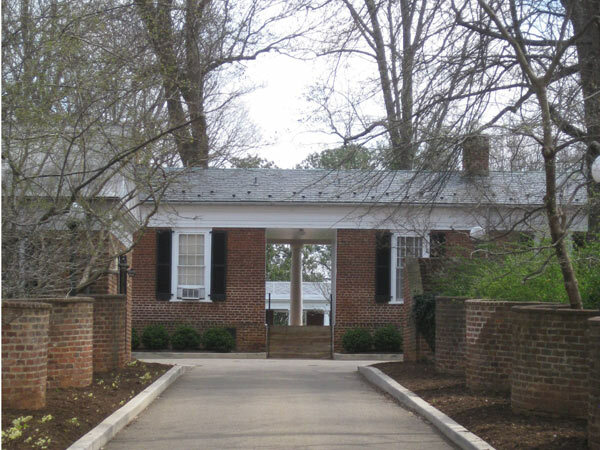 Between 1948 and 1964, the Garden Club of Virginia commissioned Alden Hopkins and Donald Parker to transform the Pavilion gardens from private working landscapes to more formal Colonial Revival-style gardens. The Academical Village was designated a UNESCO World Heritage site in 1987.